Odd Decisions You Should Think About Before Labour! Pregnancy has it's ups and downs but you know it will end. Unfortunately, for most people, it ends with a somewhat painful and exhausting labour and delivery story. Midwives will try to guide you to make an informed decision during this but community midwives should also encourage you to think about them before hand. With the huge demands on the NHS at the moment, sadly it's too often missed and it can lead to uninformed decision making last minute. So today I thought I would share some of the most common things you should think about before having your baby. 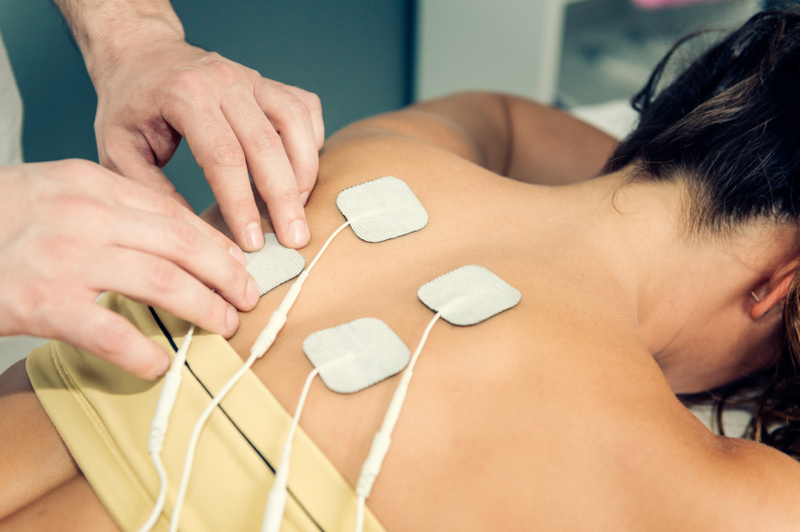 In the modern era, there are many different forms of pain relief. These begin with alternative forms such as aromatherapy, TENS machine, water immersion, massage, breathing exercises and even heat. Of course, they also include stronger medications and they tend to be discussed, if not given, in order of strength. They do each have their own benefits and disadvantages and from my own experience, I think midwives are really good at explaining these. Paracetamol: In those early stages of tightening, paracetamol is perfectly safe to take. Often women will take it themselves but if you are in hospital it needs to be administered by the midwife taking care of you. Codeine: A much easier to swallow tablet compared to paracetamol and often given together. Entonox: Also known as gas and air, most women choose to use this in at least part of their labour. It is a special technique needed to utilise it fully but your midwife will guide you through with each contraction. Diamorphine: This is an injection in the top part of your thigh and normally mixed with an anti-nausea drug as well. One of the common side effects is that it can make mum and baby both a little sleepy. This is great for mum as she can get some well deserved rest but if the baby is born shortly after administration, it can be a little drowsy. Of course, the midwife will be aware of this and ready for all possibilities. Epidural: The strongest and final option (unless you have an emergency operation ending a spinal or general anaesthetic) involves a little tube that remains in your back until an hour or so after delivery. For more information, see the NHS website. Most hospitals allow 2 birth partners during the majority of labour. Unfortunately, if the labour is in theatre, either by an instrumental or ending in cesarean section, only one is allowed in, so it's useful to know who that will be before hand. It's interesting how different cultures feel about having skin-to-skin straight away. While midwives encourage skin-to-skin to keep the baby warm, it's completely up to you. If you would rather wait until baby is clean, that's totally your choice and one the midwife will respect. Likewise, if you want a towel on you so you hold straight away, that's fine! Most women who have medical intervention will be encouraged to have an active third stage which involves an injection into your thigh immediately following the birth of your baby. This encourages the uterus contract and expel the placenta faster, preventing blood loss. The midwife will then use controlled cord traction to gently pull the placenta out while you relax. A physiological third stage means you push the placenta out yourself with contractions similar to pushing your baby out. This can take a lot longer, is slightly more painful and usually has a higher blood loss amount in the earlier post-delivery stages. It is important to be aware that if it doesn't deliver within 30-45 minutes, it might become an active third choice. I was torn in which order to put these but most locations now practice delayed cord clamping so that the cord isn't clamped and cut until after blood has stopped being delivered to the baby. Of course, if the baby and mother has a problem, the occurs sooner. But you can also make a decision about when this happen. 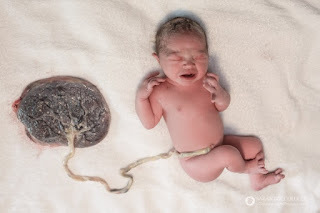 Have you ever heard of a lotus birth? Some women choose to leave the placenta attached until it falls off naturally, usually 7-10 days after birth. Your placenta is apart of you so it's up to you whether you choose to keep it or not, unless it needed sending off for further testing. Some women choose to eat it (raw, cooked or as a powder), while others have it dried and made into tablets professionally. This is meant to reduce the likelihood of postnatal depression and some previous sufferers have sworn by it. People also choose to take it home to plant it, to provide nutrients to a tree in memory of your child. If you choose to do this, you will be given instructions on what depth to dig it to, for health and safety reasons. Vitamin K forms part of the clotting cascade which helps prevent babies from bleeding, especially in their brains. It can be given in two ways, orally or as an intramuscular injection. The injection is given shortly after birth and babies tend to cry for a couple of seconds and then forget about it. With the oral drops, it requires 3 doses: once at birth, once at 7 days old and again at 28 days old. The subsequent doses are done by the parents and these are needed to ensure baby get's enough as it's not guaranteed that they will swallow it. 8. Breast or Artificially FeedingThis is actually one most women have a good idea of before they come in and it's interesting. It's always good to encourage breast feeding because it is biologically better but at the end of the day, my opinion is fed is best. Okay maybe it's not one you HAVE to make but it is useful to have an idea because everyone will ask and be curious. Interestingly, you have 6 weeks to register the baby and you can even change the baby's name up until a year old! Have you already thought about these things? Let me know if you think anything else should be added to the list!